For example, if you use the Arial 12 Italic font to specify the dates of your internships, it is obviously necessary to retain this style for all dates in the CV. Another example: if you described your first internship with a sentence like “I was in charge of …” it would be inconsistent to start the description of your second job by a “Responsible for..” it is about a syntax consistency between your information at the same level. This rule is essential in consulting, and is respected by consultants in their own work documents. This way, a candidate who will not respect this rule will be automatically seen as “disconnected” from the classic standards of the consulting sector. No respect of this rule is not elimanatory, but better to start well, right? 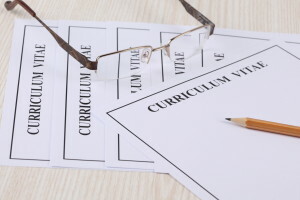 You cannot imagine the number of remaining typos in the “final” versions of CVs sent to Human Resources departments…this results in the evolving nature of a CV whose successive modifications complicate proofreading. So be very vigilant in this regard given the level of competition. From experience, almost one definitive CV out of three fails in this quirk. Very silly, but do you still have the same phone number and the same email address you had at the beginning of writing your resume? About that, be sure to put only your personal, non-professional and temporary contact information. The personal information is the only one that lasts over time, with those of alumni networks, sometimes. A critical review is needed to not be troubled on D-Day. To my mind, this is the only real risk that may arise on the day of an interview because of a CV. When I was in the acceptance jury of a given Business school, a candidate was completely confused when I asked for clarification about a 3-year gap in her CV. It is essential to ensure your CV covers all periods of your background, and in the case of a mishape, which is always possible for everyone, focus on preparing your explanation speech for your interview. How To Write A Consultant CV: Episode 3 – Is The Format Of Your CV Adapted To Your Seniority?